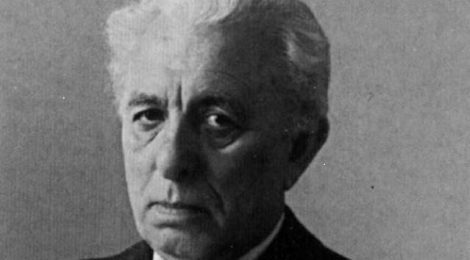 Franco Fortini is a poet, literary critic, essayist and intellectual of the last century, a rather controversial figure. He was born in Florence in 1917 and died in Milan in 1994. His father was Jewish and his mother Catholic. The fascist regime caused him and his family great difficulty. There were periods in his life when he was politically committed and always remained opposed to the fascist ideology. During the war he was in the army and also collaborated with the resistance, later joining the socialists. He visited Russia and China. He befriended the major intellectuals and writers of his time, such as Pier Paolo Pasolini, Carlo Cassola, Italo Calvino and Cesare Pavese. His working life saw him writing essays and literary criticisms for major newspapers and magazines, and translating from French, Spanish, German and English the works of great writers including Marcel Proust, Federico García Lorca, Bertolt Brecht and George Orwell. He published six books of poetry. In 1963 he started his teaching career, first at high schools and then at university. He retired in 1988. Here is the translation by Lawrence Smith found in his bilingual anthology The New Italian Poetry – 1945 to the Present. as it will conquer me, the one who resembles you. as my words are wind in the wind. no one looked out to help you. of the contorted rabbi, lumps of dirt on your father’s coffin. at the throne of the light which consumes my days. searches for the white roads of Galilee.